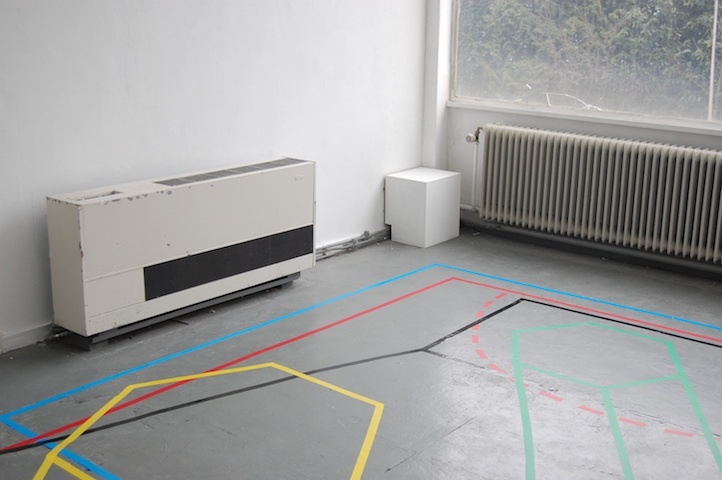 The installation ‘Arena (reduced to 25%)’ (7.80m x 3.60m x 4.00m), is a translation of the piece ‘Vloer 1′ which I made last year. 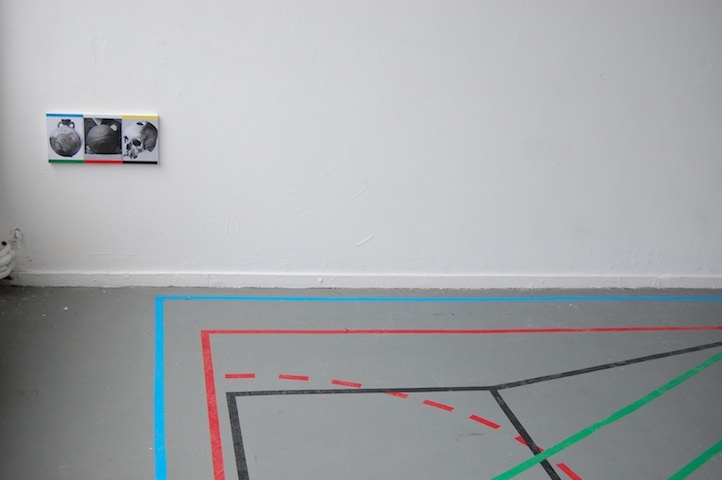 The work shows a floor which has familiar elements of ordinary sportsfloors. 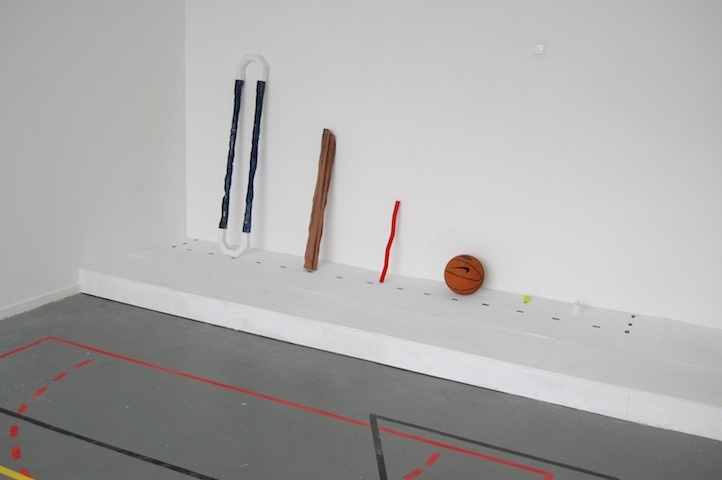 However, none of the games we normally play can be played on the floor. 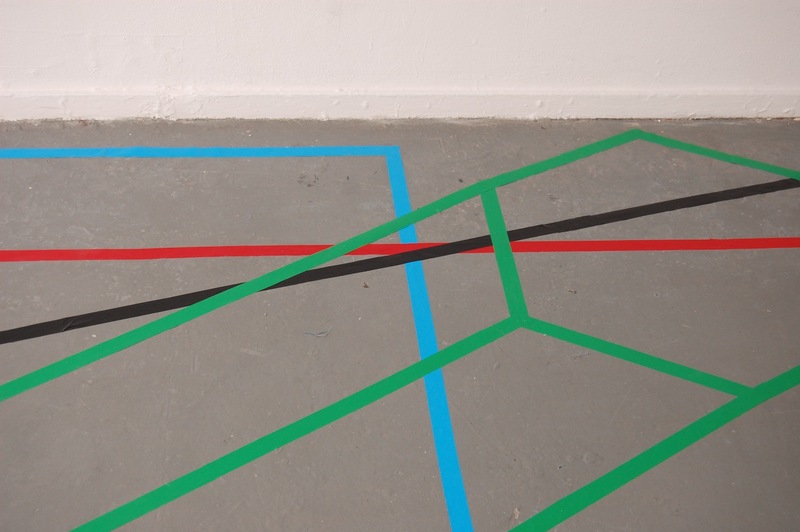 In fact, the lines on the floor suggest a certain depth or 3-dimensional shapes, things that are completely irrelevant on the ordinary sportsfloor. The title suggests that this is actually a smaller copy of a real floor or space; a suggestion that makes the whole thing quite plausible. 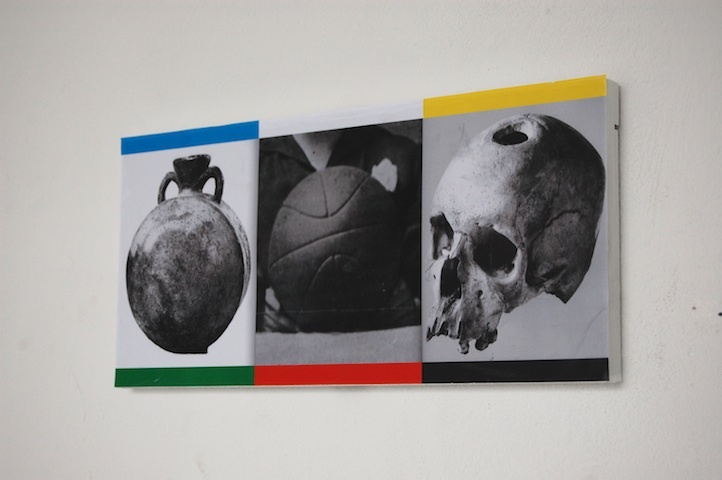 A plate that is mounted on the wall suggests the use of certain objects in possible games, but also refers to the close balance between sport, act, art and death of the ancient Roman arena’s.